Bwin are one of the biggest names in online gaming and have grown at an astounding rate since their formation in 1997 with just 12 employees. Now you’ll probably recognise the logo from their sponsorship of huge sporting names like the AC Milan and Real Madrid football clubs. In 2011, they merged with PartyGaming plc to form the world’s largest publicly traded online gambling firm. They are traded on the London Stock Exchange and headquartered and licensed in Gibraltar. 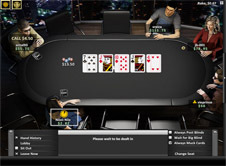 The bwin poker client runs on the Ongame network, and despite the merger with PartyGaming, there has been no movement to combine the player pools of bwin and Party Poker on to one platform, with bwin players continuing to play on the Ongame network which is also owned by bwin.Party. Ongame are one of the biggest networks in the world, and their software is fairly highly regarded, meaning bwin players get access to some of the best online poker games as well as having the security that their money is being held by a huge publicly traded company with high ethical standards. Can I play on bwin on a Mac or Linux? The good news for Mac users is that bwin has a dedicated Mac client, and if you don’t want to be bothered with downloading the software or you’re a Linux user, there’s also an in-browser version which can be run on Mac OS X 10.4 or later (Safari users need 10.2 or greater) with Java 1.5 or later, or any other browser on other operating systems capable of running Java 1.5 or better. New players at bwin will be given a 100% bonus on their first deposit up to $500 signup bonus to new customers which you have 60 days to clear. The bonus will be put into your player account in $10 increments every time that you accrue 100 Poker Points. You’ll earn 3.6 points for every dollar paid in rake or tournament fees. New depositors also get 10 ‘Rookie Challenge’ tournament tickets (which aren’t worth all that much) and membership of the b’inside VIP Scheme where you can use your Player Points to buy apparel and tournament tickets. Beyond the initial promotions, bwin run a lot of promotions based on the Ongame Network’s live tournament series, the GSOP but not too much in the way of value added promotions for players. bwin have a fairly wide range of deposit options on offer to their players. Credit Card deposits come with a 2% deposit fee, while most other methods including PayPal, Neteller, Skrill, Bank Transfer, PaySafeCard, and Western Union are free. The accepted deposit methods vary by country, but bwin have a dedicated page on their site which will show you the deposit methods available in your country. You can withdraw using almost all of the deposit options, but be prepared to send in ID verification documentation when you go to make your first withdrawal, for security purposes. 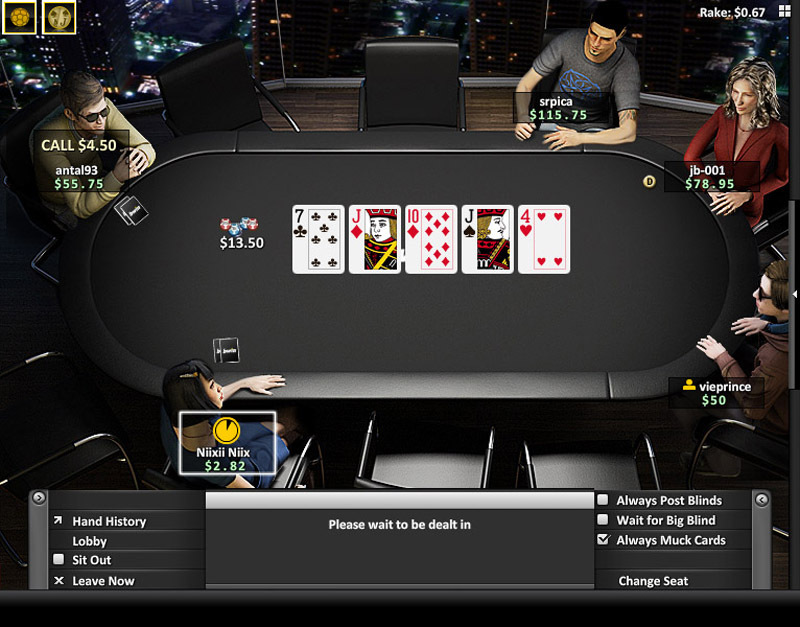 bwin offers the usual popular poker variants of Texas Holdem and Omaha, as well as Omaha hi/lo, 7-Card-Stud, 7-Card-Stud hi/lo, and the formerly very popular 5-Card-Draw. The bulk of the players are at the No Limit Holdem cash tables and tournaments, but you’ll see Omaha games running around the clock at stakes up to $2/$4 and as high as $10/$20 at night time CET. Omaha hi/lo traffic can be hit and miss but there’ll always be a couple of games running at some level. Stud and 5 Card Draw on the other hand are not very popular and will only have games running occasionally. The tournaments at bwin are good and there’s a range of guaranteed prize pool tourneys every day that cater for all time-zones around the world. As well as regular cash prize tournaments the schedule is packed with satellites for live events like the World Series of Poker and the Ongame Network’s Grand Series of Poker tournaments. The big weekly tournament at bwin is called the ChampionChip and it offers a $200,000 for a buy-in of $200, but again there are plenty of satellites that will get you in for cheaper. bwin is a good choice to play your poker is safety and the security of your money is an important factor for you. As a public company their procedures are intensely scrutinised and they operate in a very transparent manner. The software they use is good and their membership of the Ongame gives them access to the 5th biggest player pool in online poker. The bonuses on offer are good without being spectacular, and the fact that you’ll have access to one of the better sports betting sites with your funds is another plus point for a lot of people. High porportion of loose players. Software is laggy when mass multi tabling. Visa, Visa Electron, MasterCard, Diners Club, Neteller, Skrill (Moneybookers), Bank Transfer, ClickandBuy, Click2Pay, Paypal, Freebet Card and Western Union.